Everywhere you turn these days, you’ll find curcumin shining bright. Treasured by ayurvedic and Chinese healers for thousands of years, the potential health benefits of this turmeric derivative make it no surprise that it continues to be a rising star in supplements. In fact, it has become so popular in recent years, according to SPINS, that from 2013 to 2014, turmeric sales increased by 35 percent and climbed another 45.3 percent in 2016. Today, it’s not just sales that are skyrocketing, but also innovation. 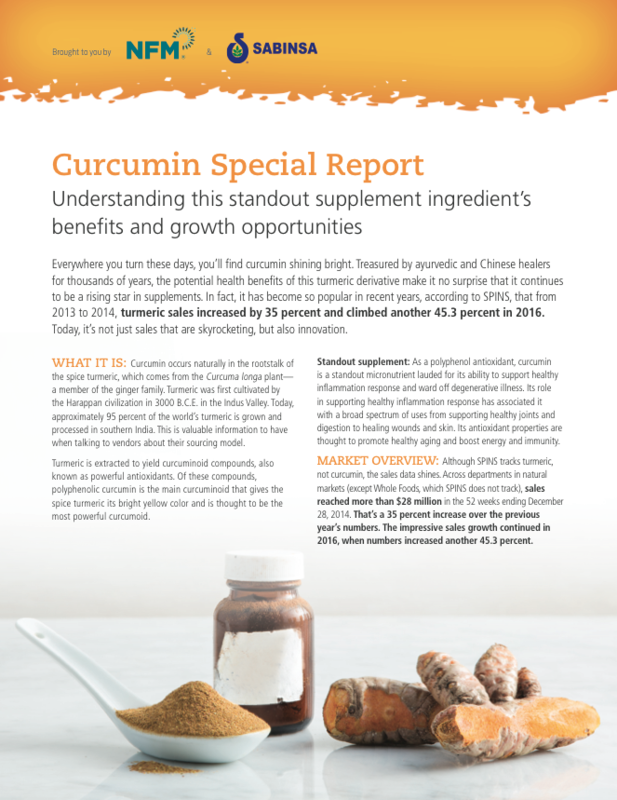 Learn more about this standout supplement ingredient's benefit and growth opportunities in this special report.